At the recently concluded Annual Meeting of the World Economic Forum at Davos, Switzerland, Minister of Communication and Information, S Iswaran released Singapore’s Model Artificial Intelligence (AI) Governance Framework. The document is a promising precedent for providing detailed and guidance to private sector organizations to address key ethical and governance issues when deploying AI solutions and Singapore has become the first state in Asia to do this. Today, when some people look at AI as a monster, this movement seeks to enhance the understanding of AI and its acceptance of being beneficial to users. But still, a question remains- Is the utility of AI limited to big corporates only? Artificial Intelligence has come to be associated with large names like Google and Amazon. This is because of huge amounts of data these organizations house that has to be used to train the systems to perform. This worries smaller businesses and hence the lack of eagerness to integrate AI into their processes. Just like how a few years ago, it was presumed that only large businesses should go for app development which is no longer the case. So, having AI incorporated into the workflow of your business is not an impossible task as it may seem. Using AI tools varies from solving business problems (like detecting patterns for predictive maintenance) to evolving competitive strategies. This involves using AI solutions that have had a proven impact across the industry and has had significant use cases to take benefit of and scale them to your needs and requirements. This is about experimenting with technologies that are still emerging and to prove its value in key business use cases before scaling. This involves capturing the first-mover advantage and unlikely for small businesses. Typing up with academia or third party, using cutting edge AI tech and scaling it. The report, however, mentions that businesses cannot leapfrog into AI based solution without having digitized themselves adequately. If you are looking for digitizing your processes through an enterprise app or looking for other digital solutions you can contact us today. Here are four functions that digitized small businesses can opt to integrate AI into their workflow. AI solutions can now guide businesses into making more accurate ad strategy by analyzing traffic, previous performances and make real-time recommendations on valuable investments. For example, sentiment analysis algorithms that analyze customer engagement to their campaigns can help small companies to significantly reduce their CPC. Budget allocation also improves through AI tools as you can automate some repetitive processes like bidding, hence reducing costs. For detail on AI in marketing for SMBs you can refer here. Marketo, Pardot, Relay42, are some great marketing AI tools you can check out. Sales teams swear by CRM software that helps them to compile and manage their customers and prospects from phone, email, directories etc. in one place. But with AI this process becomes smarter. AI tools integrated with CRM allows sales personnel to judge customer sentiment through analyzing records and taking insights to customize sales pitch and automating lead routes. This improves the efficiency of the team altogether. There are some platforms like Einstein AI, Spiro, SAP Leonardo that offer AI enable CRM. This is one portfolio that involves making repetitive steps and wears out the team. Having it automated or using bots to some extent reduces the response time, saving time and increasing productivity. This also ensures customer satisfaction. For example, AI solutions can suggest or automate answers and can route the tickets/messages to the right person, freeing up your team’s time for dealing with issues which require human engagement. Botsify, Clare.AI, Smooch are some chatbot platforms you can use. Related: What is Emotion AI and How It Will Make Apps More Personal? Today there is an availability of AI tools which are ready-to-use and can be integrated into the system wherever data is employed. They can deduce valuable insights into data through classification and prediction algorithms. These tools can also be used to study product reviews and create actionable reports out of the study on its own. These can allow businesses to improve decision-making and take guidance for strategy building e.g. MonkeyLearn. 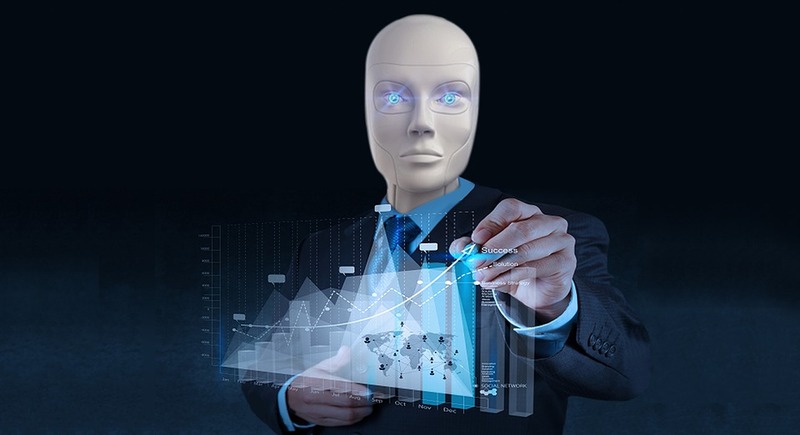 The AI boom does not necessarily mean your small business needs to hire data scientists and develop cutting edge technology. For smaller organizations, it makes more sense to integrate third-party AI apps or tools that can be plugged in easily with databases. As small enterprises struggle with the cut-throat competition in Singapore, taking an early ride onto the AI express will translate into a big advantage. In the quest to remain relevant to the data-driven space, small businesses will need to adapt AI into their systems. Previous articleWhat Are Enterprise Apps and Why Your Business Needs One?